If you’re married, you know what a challenge it can be at times to come up with Christmas gift ideas for your spouse. This is especially the case the longer you’ve been married, at least that’s what I’ve always found. 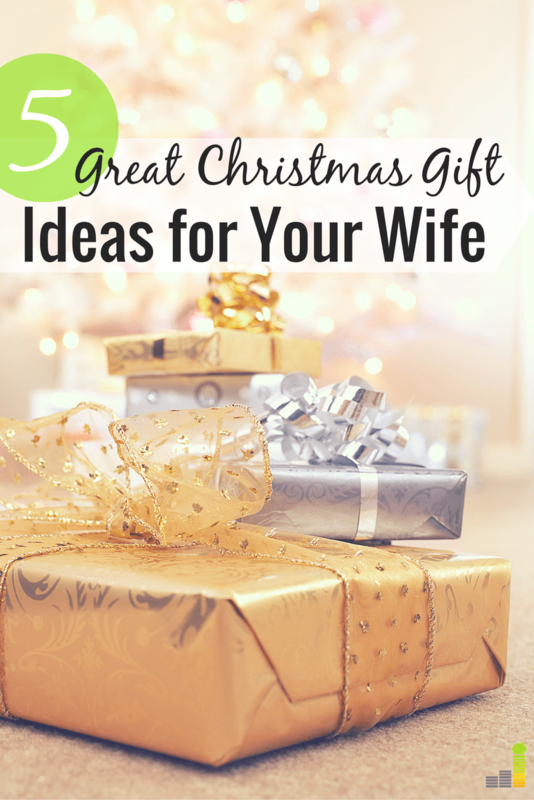 If you’re a man, then you have it doubly worse when it comes to coming up with good Christmas gift ideas for wives (of course, I’m not biased at all). If you find yourself struggling to get Christmas gifts your wife will love, don’t despair. We can all be clueless as to what to buy our wives. With that in mind, I thought I’d share some of the best Christmas gift ideas for my wife that I’ve used to fall back on over the years. As an aside, if you’ve been told that you’re difficult to shop for, make sure to check out Mrs. Frugal Rules’ post on Christmas gift ideas for men. If you listen to what those around you say then you’d think you have to spend a truckload of money on your spouse – especially when it comes to Christmas shopping. Don’t fall for that myth! At the end of the day, it’s the thought that counts and not the amount spent. If you look at the cost of the items on my list, you’ll notice that everything on my Christmas gift ideas list is under $50, which proves that you can shop for Christmas and be frugal at the same time. 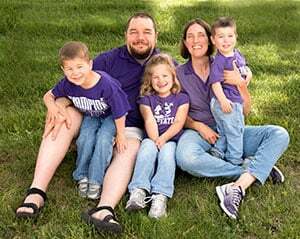 The list below is filled with items I’ve bought for Mrs. Frugal Rules or very similar to ones I have bought in the past – and she has enjoyed each one. One of the things my wife enjoys after a stressful week is taking a bath. One gift that has been a hit for Mrs. Frugal Rules is the Bamboo Bathtub Caddy. The Caddy fits across the bathtub and allows her to not have to worry about dropping a book in the tub or having somewhere to put a glass of wine. The caddy also allows a spot to put a TV remote and can fit most baths. If your wife enjoys taking a long bath this will likely be one of the best Christmas gift ideas you can come up with. It also sends a signal to your wife that you know she works hard and you want her to enjoy a little ‘me’ time. I know that jewelry isn’t the most of frugal Christmas gift ideas as it can be hit or miss. I have bought a few smaller pieces of jewelry for Mrs. Frugal Rules that she has really liked. Since I don’t like to go shopping, I tend to do most of my Christmas shopping on Amazon. The key I’ve found with buying jewelry on Amazon is to really read the reviews of the item you’re considering. I’ve bought one or two pieces that didn’t have the greatest of reviews and I could tell why. The ones with good reviews have them for a reason. If you’re in a pinch and are looking for a last minute Christmas gift Amazon can be a great option for something like jewelry as they run a lot of sales in the weeks leading up to Christmas. This falls into the realm of unique Christmas gift ideas, and is a nice little accent piece to have for a romantic dinner. The Candelabra wine bottle topper attaches, as you’d imagine, to the top of a wine bottle and when you put in some tea light candles it makes for a nice decorative piece. My suggestion is to pair it with a bottle of your wife’s favorite wine and you have the makings for a date night at home. I have done this for my wife numerous times as it’s one she always enjoys and is one of the top Christmas gift ideas I’ve bought. There are pre-made kits available, but I like to hand pick coffees or teas I know she’ll like and make something up myself. The first part of the kit, assuming you don’t have one at home, should be an electric coffee bean grinder – we use this one from Krups, and it works great. This allows you to buy beans and thus enable you to maximize the freshness of the coffee and save money on coffee in the process. You can throw in a coffee mug and if you don’t know what kind of coffee your spouse prefers you can always go with the popular Starbucks Pike Place Roast. If your wife prefers tea then you should look at things like a Stainless Mesh Tea Ball, Stovetop Whistling Kettle and a tea sampler to get her started. Now, I know gift cards aren’t always thought of as the best of Christmas gift ideas. But, they do work in a pinch. If you truly know your wife’s style, size, etc. then buy something specific. I don’t, nor do I have the patience and would rather my wife have something she likes and enjoys. As opposed to going to different stores, I’ve found that Amazon is a great option to find gift cards. You can either just buy a generic Amazon gift card or you can select from the various stores they have cards available for like American Eagle, Lord & Taylor and more. You can even find places to buy discounted gift cards to stretch your budget a little further. It’s also important not to overlook potential savings on your Christmas shopping needs. You can take advantage in drops in prices from your online shopping with Paribus. Paribus compares prices against what you paid to find rebate opportunities. They also work with Amazon on shipping fees if no delivery attempt was made by the guaranteed delivery date. I hope my list has gotten your creative juices flowing. Or, if you’re sitting at home four days before Christmas with nothing bought yet for your wife, that it saves you from hours of agony at the mall. Just remember to go with your gut and tell your wife you love her when she opens her presents. After all, as Mrs. Frugal Rules is fond of telling me – that’s what really matters. 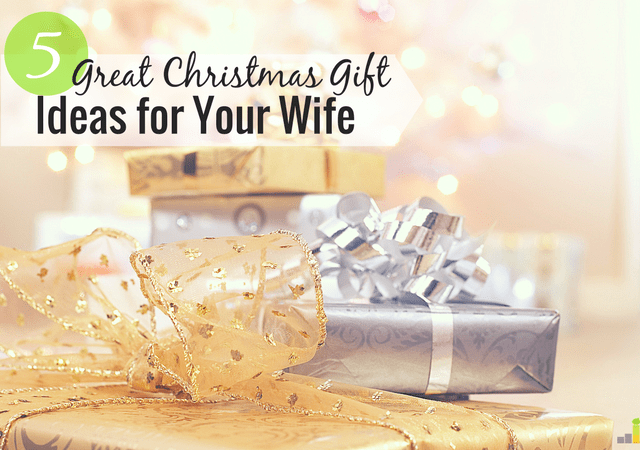 What are some of your go-to Christmas gift ideas for your spouse? Do you set a budget on your Christmas shopping? Do you consider a gift card a bad Christmas gift? That candelabra thing looks pretty cool! I always start my shopping for Christmas throughout the year as I see things that my hubby would like. But I’m pretty sure that he usually waits until the last minute :-). Great list! It is a really neat little gift. I like to shop throughout the year as well so I can get the best deal possible and not have to deal with those who put it off to the last minute. Some years we don’t get each other any gifts at all, but, on the Christmases that we have exchanged gifts, Mr. Frugalwoods hit it out of the park. I was pretty impressed, I’ve got to say! His biggest successes over the years have been necklaces–I don’t know how he does it, but the man can pick out a necklace! He gets them on Etsy for pretty cheap and they’re very unique and perfect for me. I am definitely the weaker gift giver… I need a Clueless Wives list! That’s awesome Mrs. FW! You can’t beat a good price on something that is a hit. 🙂 We may very well not exchange ourselves this year, we’re still deciding on that. Clueless husband here. Good list here, but I would like to add fancy soap and candles to the list. I can never come up with good gifts, but my wife is always happy when I give her fancy soap or candles. Irish spring does not work, it has to be expensive though. My husband finds it difficult to shop for me because I ask him to stick to a budget. His ADD brain doesn’t like to be constricted. Also because if he gets it in advance, he tries to give it to me immediately. The farthest out he’s ever bought anything was about 10 days before Christmas. The years that I haven’t made him stick to a budget — usually because I just forgot to have the talk — he’s gotten me some lovely things. A couple purses that I really love, specifically. But… yeah, I don’t like spending hundreds of dollars on each person. 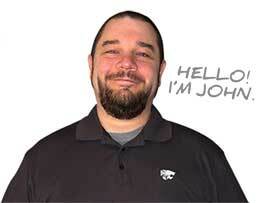 He’s easy to shop for because he likes graphic novels, Dr. Who and associated collectibles. This year, he’s getting books from Amazon and shirts from Hot Topic. Easy peasy. I love Sledgehammer coffee beans from Camp4Coffee! I’m in my Happy Place every morning with a fresh brewed cup of coffee! Gift cards are great too, but I think it’s really important not to forget her Christmas Stocking with all of her favorite treats?